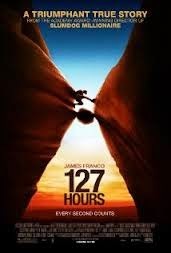 Aron Ralston is best known as the man who cut off his own arm after he became trapped during a solo hike. Is he a hero or a man who fails to miss all of the life lessons that are presented to him in his numerous near-death experiences? While a good read, this book will challenge you in many ways. Aron had a few brushes with death before setting off on the ill prepared hike. These brushes included being chased by a bear, surviving other rock falls, nearly falling off a mountain while sliding down in snow pants and nearly drowning 2 friends who had to save him after he cannon balled in a river without a life jacket . What do you think? 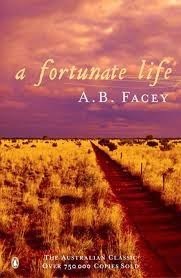 An inspirational autobiography about a man who has a very hard childhood yet despite suffering things that could make a lesser person bitter, he considered that he had a 'fortunate' adult life. He was a self taught man who began work at age 8 only to be mistreated by his employers. He served at Gallipoli where 2 of his brothers were killed and he returned home with severe disabilities. He eventually married the woman who sent him a care package during the war. The family lived through the Depression, the death of his son and the disabilities sustained during the war. His love of his wife, family and friends is obvious. A good example of a well written autobiography. Anh's family risked their lives to escape crippling poverty in Vietnam. Like many other refugees they set off in a barely seaworthy boat, were attacked by pirates and ended up in Malaysia. The family were granted refugee status in Australia. 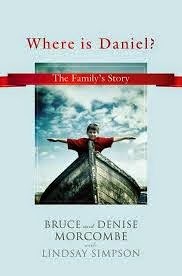 This uplifting book shares the family's happiness at being given the opportunity of a new life through hard work, education and family cohesiveness. Anh is a lawyer and a successful comedian. This book is a lovely series of anecdotes and a 5 star read. This book is a mix of Pakistani history, politics and personal experiences of the young Pakistani girl who was shot in the head by the Taliban. The youngest ever Nobel Peace prize winner is a women's rights and education activist.She speaks for the silent Pakistani girls who want the right to be educated. 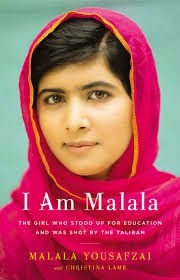 It appears that the historical content was added by the other author which makes the narrative a bit disjointed however Malala's personal account makes the book worth reading. This book is about a real Australian achiever. It tells the story of a man born with a disability but who was raised to believe that he could do anything. 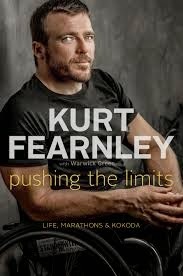 The book tells of Kurt's childhood in country NSW to his career as one of Australia's most successful wheelchair racers with three Paralympic gold medals, seven world championships, 35 marathons and a successful crossing of Kokoda. Kurt Fearnley comes across as an amazing man with an amazing family. On Father's Day 2005 a recently separated man drives his car off the road and into a dam. He claims that he had a coughing fit. He then flags down a car and asks to be driven to his estranged wife's house before calling emergency services. His 3 sons drown. This book is an eyewitness account of the trial of Robert Farquharson. The book says a lot about the legal system and why there are many tragic cases where the children of failed relationships end up hurt or worse. The author attends the first trials, the appeals and a second trial before a final decision is made on the father's guilt or innocence. Well written with a terrible statement from the police diver who found the car in the dam. 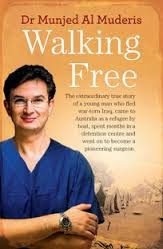 Walking Free tells the story of an Iraqi born surgeon who was faced with a terrible choice to mutilate a group of army deserters and not be executed like the chief surgeon was or to flee Iraq. 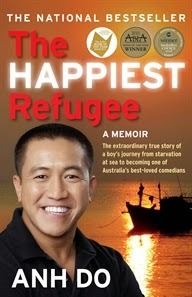 He chooses to make a long and difficult journey to Australia where he is kept in a detention centre for some time. While the surgeon appears aloof in the book there is no denying that his story is one of a man who shows courage and fortitude to defy the odds to become one of the world's leading osseointegration surgeons (creates robotic arms and legs and attaches them to amputees). 'Oh, my god, the sea is coming in.' This is the story of how the author lost her 2 sons, husband and her parents in the 2004 tsunami that killed more than 200,000 people. The family were on holidays in Sri Lanka when the tsunami struck .The story is one of the joyous life that author had before the tragedy contrasted against unimaginable sadness, anger and guilt at being a survivor. There is no resolution the the author's grief just the realisation that to survive she has to remember her family. 'Where is Daniel' covers the 10 year investigation into the disappearance of Daniel Morcombe in 2003 and the courage, dignity, persistence and fortitude shown by his parents to discover what happened to their son. Daniel's killer was eventually caught by a covert police sting. His parents were determined to do something positive out of this awful event and set up the Daniel Morcombe Foundation that teaches children about safety. 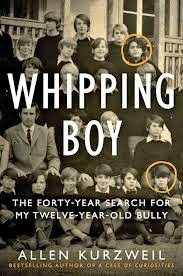 Whipping Boy is a memoir of a 40 year search for the bully who tormented the author during his years at boarding school. The obsessive search takes Kurzweil all over the world from the Swiss boarding school to the slums of Manila, a Park Avenue boardroom and to a federal prison camp in Southern California. The author encounters an improbable cast of characters including an elocution teacher with badly fitting dentures, a gang of pretend royal swindlers, a crime investigator and a grand master of the Knights of Malta. Despite wondering if all of the story is real the memoir is a well written work of nonfiction about the parallel lives of the victim and bully.